I am a computer tech by trade, but I love to check out the pictures on your site. I have attached some pictures from my vacation. The pics are from Ocho Rios Jamaica. The generator was powering a hand drill that a guy was using to drill into the dock to attach new stairs. What a waste of a fine piece of welding equipment! Perhaps there should be a link to these pictures on the "Darwin Awards" site. So that's why they put the little holes in the blades of a cord cap! Praises be to the inventor of cordless tools. Yeah, but it was very thoughtless of the manufacturer not to add a hole in the ground pin. 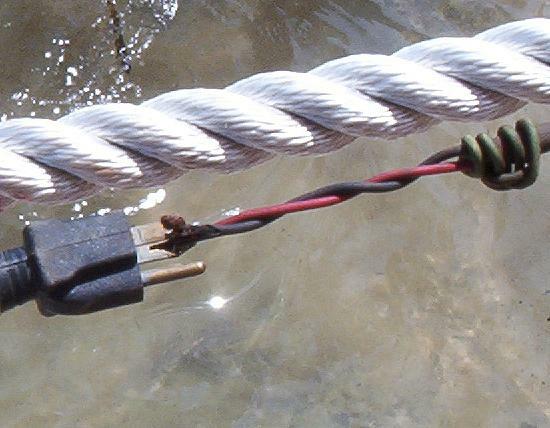 Still, the green wire doesn't do anything useful, right? Since it appears to be an ungrounded system, and I can't see a reason to prefer one conductor over the other to be ground, you may be correct to let fate decide. 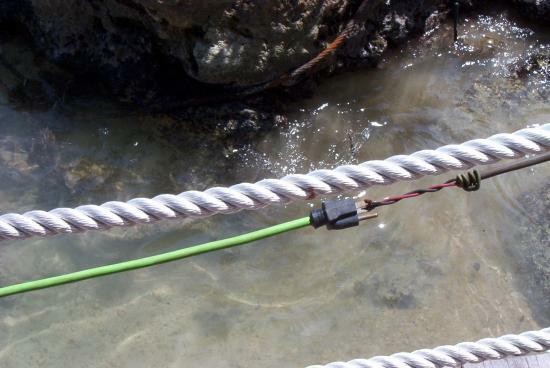 But would it be green wire up, or green wire down? The thing that's so sad about this is that extension cords are so cheap and so much easier to plug in than this mess. 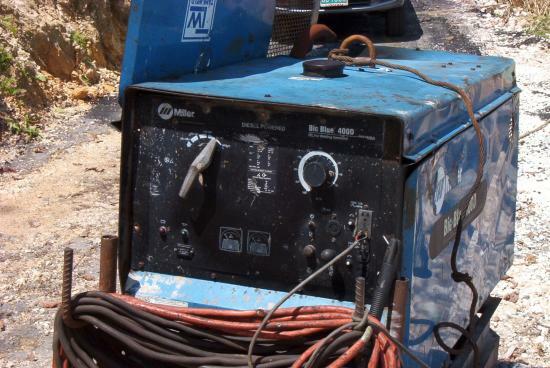 This fine welding machine will be around much longer that it's operator. 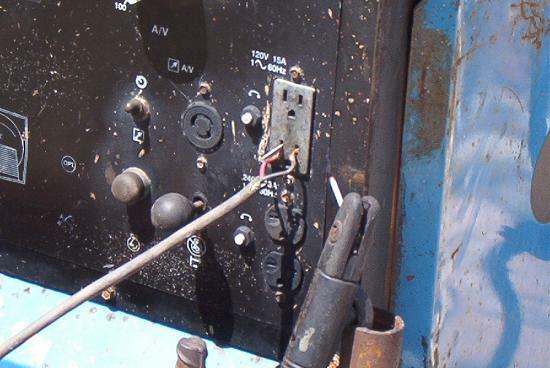 If I'm not seriously mistaken that's not an arc welder but a fat generator set. Have seen something like that here in Europe, heavy diesel engine, output 11.2 amps@400V, 230/400V 3ph. Miller Electric manufactures welding equipment I belive a subsidary of ITW which also has Hobart welding equip. If you look a little closer at the second picture, you will notice the welding stinger with a stub of rod still in it. Most engine-driven welders have a decent-sized 120 winding in them If you need an engine-driven unit, there generally is no electricity to be had and you need power tools to work on whatever you are welding. Our favorite term for that setup was The infinite extension cord.